Welcome to the Talon Mailing & Marketing February 2014 Newsletter. Not Working With Talon? Does Your Provider Do This? As a large snow storm arrived, Talon needed to find a solution to keep a 907,000 quantity project on schedule. In today's business environment, it's more important than ever to find the right fit when working with direct marketing service providers. Choose a company too big and you could get lost or receive less than ideal service. Pick an organization too small and you could get burnt with late completions or limited services and options. I'd like to share a story of how Talon was big enough (and determined enough) to keep a client's critical project on-time. Recently a long-time customer had planned for Talon to perform a complicated merge/purge. The data processing and subsequent mailing had been planned for months. 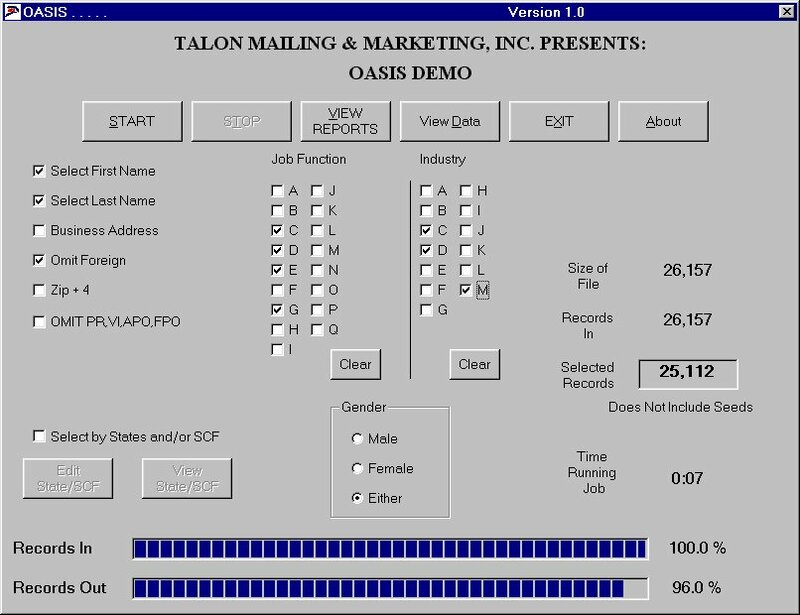 To perform the merge/purge, Talon was to receive and process numerous lists, comprising many segments from outside companies. The rented names and the mailer's customer files totaled 907,000 names. The names and addresses were to be merged, cleaned, run through the National Change of Address system and then run against the Direct Marketing Association's do not mail file. Additional suppressions and marketing steps such as scoring were to be done too. 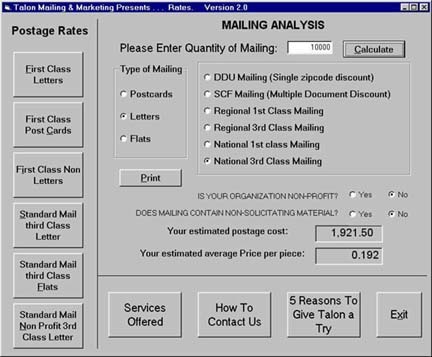 After completing these steps, Talon would supply our client with final mailing counts. Based upon those counts, the client would instruct us how to split the names into various mailing lots, assign keycodes and salutations, upper/lower case and reformat the data. The final step was to send the data electronically to it's final destination for the mailing. Unfortunately, and beyond our control, with little warning, a major snow blast appeared and the weather forecasters were calling for a foot or more of snow. Getting to the office on-time the following morning would be complicated if not impossible. The project was due to be completed that morning and the client was hoping the files would be sent immediately after approving the final counts. The Talon crew held an emergency meeting and figured the best way to keep this project and our other projects on schedule was to tap into the computers at work and perform the final procedures remotely from home. Joseph Daina, Talon's Data Processing manager, took the project's paperwork home with him as the snow storm was hitting. Other staff members did the same with other projects. Just as the forecasters predicted, the next morning there was a foot of snow on the ground. From his home, Joe was able to run the job and stayed in contact with our client throughout the process. Once the client approved final counts, the job was on it's way, before 12:00 Noon, just as promised. This is not the first time I've written in our newsletter about the efforts of our team and how we solve hurdles and meet deadlines. I'm sure it won't be the last story either. If you are not a Talon client and have been frustrated by late projects or concerned with poor customer service, or inflexible options, perhaps it's time you called us. Although the Internet has drastically changed the face of marketing, you can still reach prospects and generate sales through direct mail marketing. Charles Gaudet’s marketing insight has earned him the title of “The Entrepreneur’s Marketing Champion” by both his clients and Insiders’ for his ability to help them out-compete, out-market and out-earn their competition. As the founder of PredictableProfits.com, he’s an expert at helping entrepreneurs radically improve their profits through a series of effective marketing strategies. 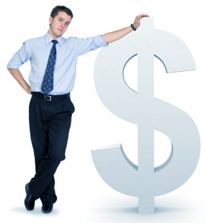 More commerce and wealth is created by direct mail than any other media. Google has become the go-to method for search marketing, prompting small business owners to regard direct mail as irrelevant. According to direct mail marketing specialist Craig Simpson, embracing this viewpoint is a mistake. "The truth is, more commerce and wealth is created by direct mail than any other media," says Simpson in his new book, The Direct Mail Solution: A Business Owner's Guide to Building a Lead-Generating, Sales-Driving, Money-Making Direct-Mail Campaign (Entrepreneur Press 2014) with Dan S. Kennedy. Direct Sales. They happen when people aren't shopping. A person who shops with your competitor is probably not looking to replace them. However, if your sales ad shows up in their mailbox making a case for superior service and presenting a terrific offer, that same person who hadn't thought about switching could be encouraged to try your service or products. Sole Focus. An online search never lists just you. A Google search will result in millions of competing options, drawing potential customers into confusion and chaos. "Even if the person searching checks out 10, 25, or even 50 search listings, the odds of them finding you are slim. Circumventing your search with direct mail limits those odds and puts your business at their fingertips," explains Kennedy. Guarantee. Buying online ads doesn't mean people will see them. Google is constantly changing their algorithms and rules, judging your ads and determining your ranking and how much traffic gets to you—making them in control of your ads, not you. Direct mail campaigns are pretty static and you control it. You create the ad, pick the right people who get it, and you keep the profits. Dan S. Kennedy is a strategic advisor, consultant, business coach who directly influences more than one million business owners annually. He is the author of the popular No B.S. book series from Entrepreneur Press. Craig Simpson has managed thousands of direct mail campaigns and has grossed hundreds of millions in revenue for his clients over the past 15 years. Simpson is the owner of Simpson Direct Inc., an Oregon-based direct marketing firm, and a respected speaker/presenter on the topic of direct mail. Their new book The Direct Mail Solution: A Business Owner's Guide to Building a Lead-Generating, Sales-Driving, Money-Making, Direct-Mail Campaign is available at all fine book retailers. hshtags.com - A social media search engine dedicated to hashtags. fan.tv - A slick launchpad and site to find and watch what you want. stitcher.com - The latest in news, sports, talk, and entertainment radio anywhere, on demand. Stitcher is the easiest way to discover the best of over 20,000+ radio shows, live radio stations and podcasts. everysingleauction.com - The place to discover upcoming auctions from hundreds of auctioneers.